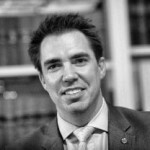 Oliver started his career as an in-house barrister, working for 6 years - latterly as Head of Compliance and Licensing - for the British Horseracing Authority. In 2010 he co-founded Global Sports Integrity, an independent company with unrivalled expertise in sports' betting integrity. Aside from his position as non-executive director of GSI, Oliver currently acts as a independent business management consultant for various disruptive start-ups and established businesses.